tilled and replanted this section of the field. You know me better than that right? I can't imagine how we can get to the beans. I don't know how many are lurking in the depths, but I can say with confidence that will be their final resting place. We might try to pick the ones that pop up. The picture on the right was picked from two other rows. 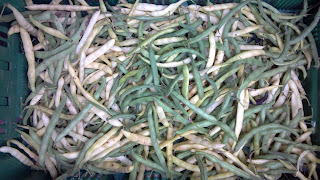 These beans will make a pretty mulch. 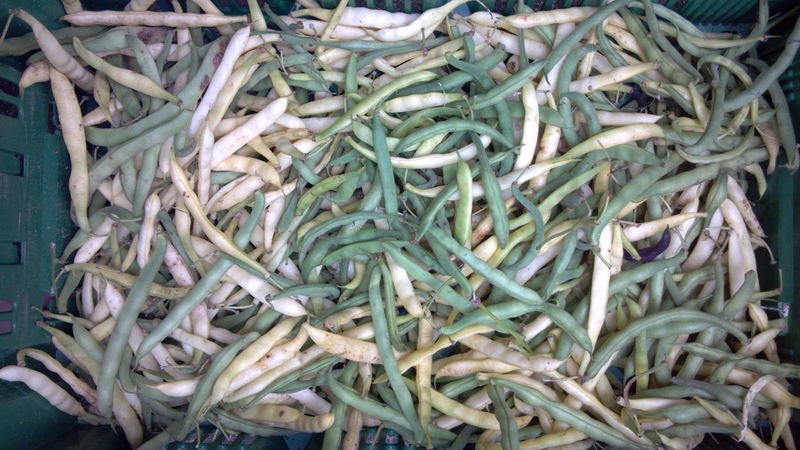 We did use and sell about this same amount and although some of these beans aged beyond usability, many were damaged by the immense amount of rain we've had. These came from bush bean plants. 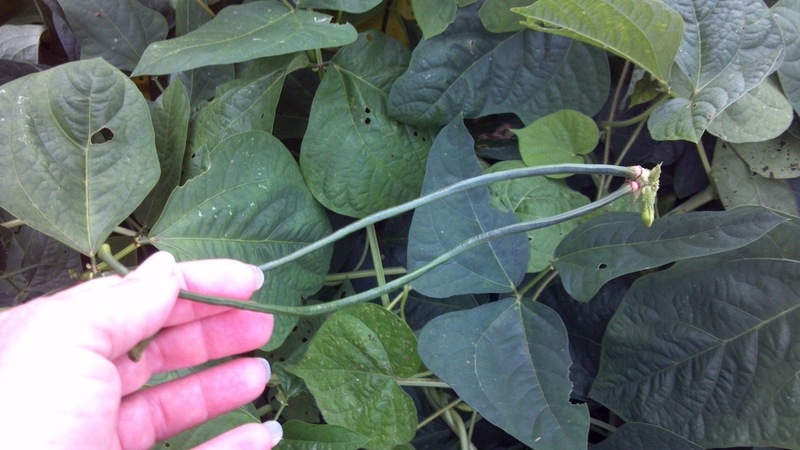 They are a nice, quiet cooperative type bean if you are looking for bean varieties without attitude. Long skinny mystery beans, they have a little more personality. This is an adventure I have never had.